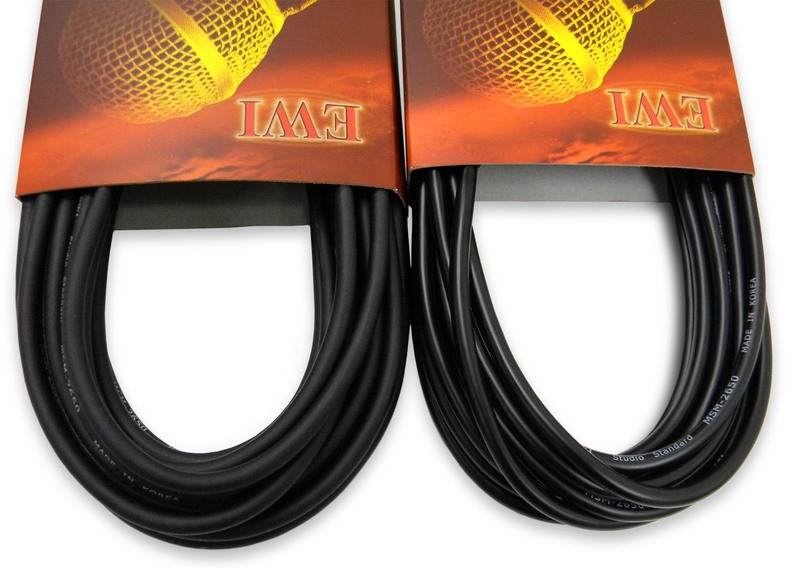 The EWI MSEA "Slimline" cable models are balanced 3 pin XLR type with a male XLR connector on one end, and female XLR connector on the other end. 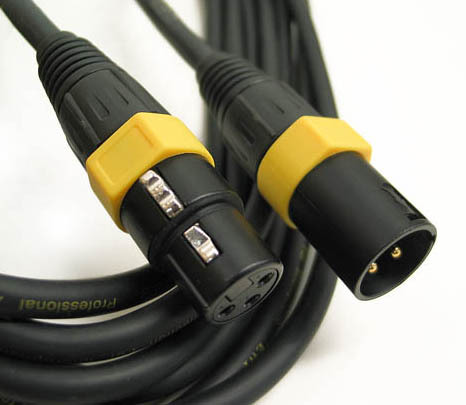 These cables are constructed with the EWI model MSM-2650 cable, which is a 26ga. twisted pair spiral shield cable. 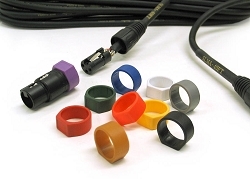 The cable OD (outside diameter) is nominally 4.8mm (0.19"), making these cables very flexible and weighing approximately 1/3 less than our standard microphone cables. The conductor strands are 12ea. 0.12mm diameter annealed copper. The spiral shield strands are 67ea. 0.12mm diameter annealed copper and provide 98% coverage. The smaller gauge also reduces overall capacitance in the cable. The outer jacket of the cable is constructed with HFI PVC. The ends are genuine EWI ES3FB-GDP (female 3-pin XLR) and ES3MB-GDP (male 3-pin XLR). The body of these connectors are black anodized zinc and the strain relief nut is black as shown in the picture. Each cable is labeled with the length and model. 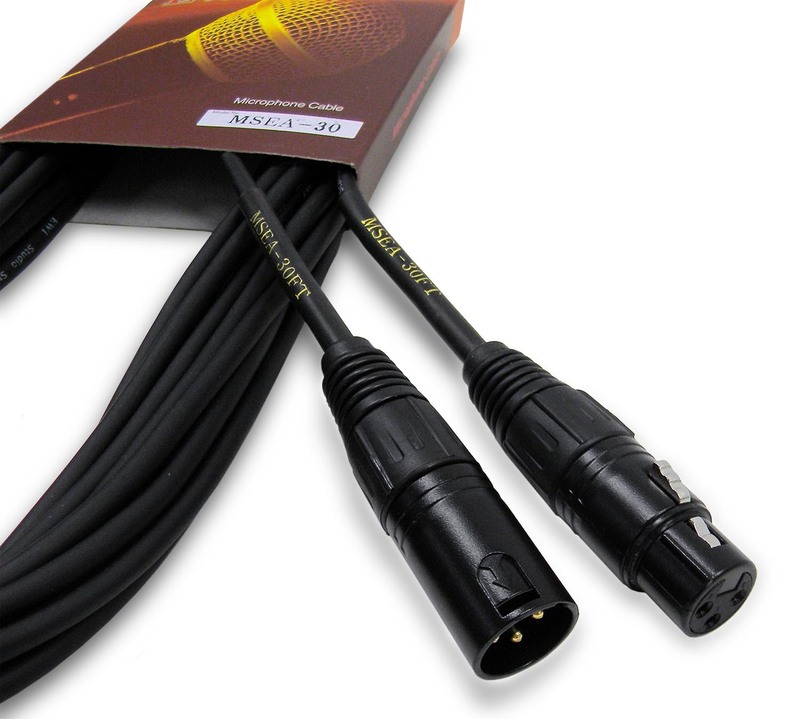 The ends are hand soldered with good strain relief and are fully compatible with all other standard 3 pin XLR connectors. EWI ES3FB-GDP and ES3MB-GDP ends. MSEA-1: 1 ft, 0.15 lbs. MSEA-1.5: 1.5 ft, 0.17 lbs. MSEA-3: 3 ft, 0.23 lbs. MSEA-5: 5 ft, 0.26 lbs. MSEA-10: 10 ft, 0.38 lbs. MSEA-15: 15 ft, 0.50 lbs. MSEA-20: 20 ft, .60 lbs. MSEA-25: 25 ft, .76 lbs. MSEA-30: 30 ft, .82 lbs. MSEA-50: 50 ft, 1.2 lbs. MSEA-100: 100 ft, 2.30 lbs.